April 22 photojournalist Andrew Biraj Rozario inaugurated a photo exhibition entitled " Bonded Stitches and Struggle". It consists of 24 shots and tells the dramatic incidents that occurred over the years in the textile industries. Dhaka (AsiaNews ) - On the anniversary of the Rana Plaza collapse which killed 1,135 people The photojournalist Andrew Biraj Rozario, has opened an exhibition entitled "Bonded Stitches and Struggle". The exhibition was inaugurated on 22 April, it contains a total of 24 shots that show several tragic incidents that have occurred in some textile factories: Rana Plaza, Spectrum, Hamim, Tazreen and Smart . Andrew, a Catholic , has been closely following the disastrous events that have occurred in the textile industry over the years, trying to tell these stories through photography. He is one of the most important contemporary photographers in the country and has won some of the most important photographic prizes such as Word Press Photo award from the National Geographic. In addition, he has published some of his work in the New York Times and the International Herald Tribune. After China Bangladesh is the second largest producer of clothes, and this sector has kept the country's economy afloat even in times of global economic crisis. 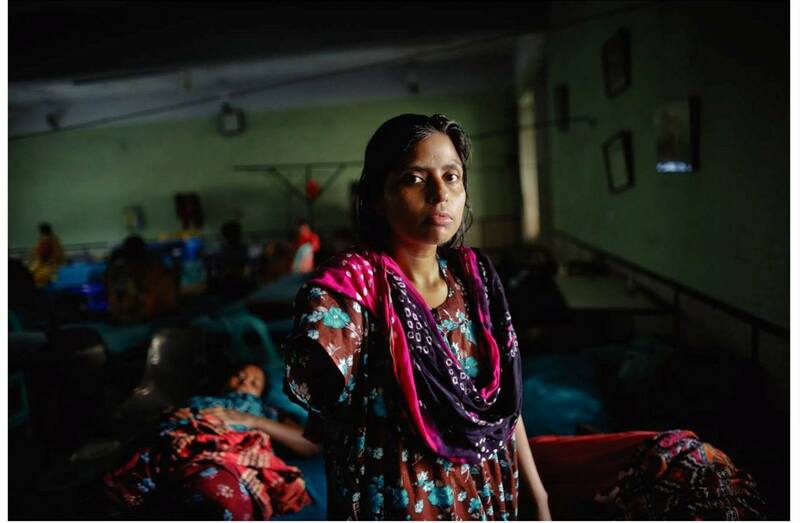 Often, however, behind the production of the garments there are stories of desperation, danger , neglect and indifference. In addition, these dramatic events occur frequently, and some of them have been commemorated by Andrew Biraj Rozario in his latest work.